We made it to church a few minutes before the ceremony and wow—it’s where we needed to be. I don’t have words to explain but my sense of despair dissipated and as I was filled with strength. We then spent the day at our house with 30-40 people we love—all of our closest family and friends in Baltimore. It was an amazing party, full of stories, smiles, great food, prayers and memories. Our Nepali and U.S. families together. On April 28, I arrived in Nepal, a country I also call home. I lived there close to 15 years—four of which I worked with Caritas through Catholic Relief Services, and I was grateful I could return to hopefully be of support. I saw my family and they grabbed me tight—my mother-in-law hugged me and said, “Thank you for coming home to help.” My husband, who owns an outdoor adventure company in Nepal, arrived about a week ago—and it was amazing to see him for an evening—again much needed strength. He left at 5:30 am that next morning to support CRS in reaching logistically challenging villages for the next couple of weeks. I don’t yet have words to describe what I saw or felt. I, along with everyone else I saw in Nepal, did and are doing everything we can to race against the monsoon rains to ensure people are reached with much needed material and emotional relief. Anxiety, stress and fear is so overt –and of course it is with over a hundred tremors and a 2nd major earthquake on May 12. Nepal is and has always been an extraordinary spiritual place. It’s just a little off balance, and we need to come together to restore that balance. Catholic Relief Services’ work to help the Nepali people continues. Find out more about assisting their important efforts. 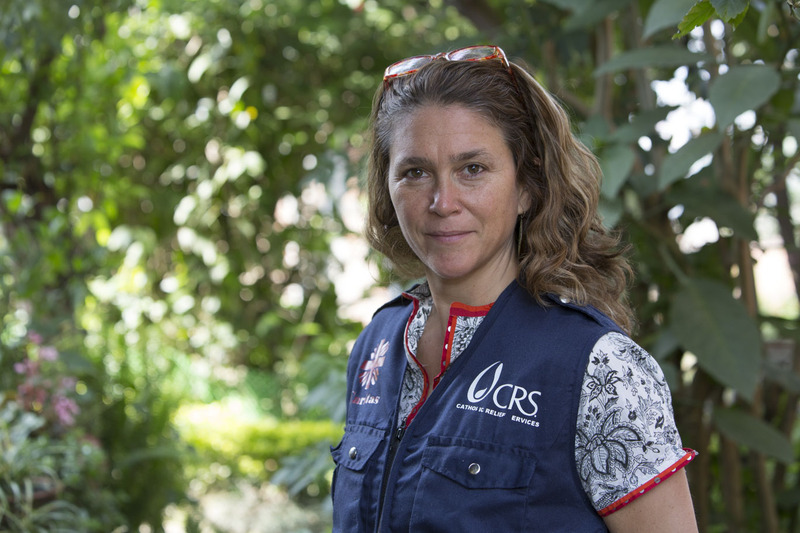 Robin Contino, Technical Advisor in Emergencies for Catholic Relief Services, reflects from the airport on the earthquakes (April 25 and May 12) in Nepal, how her own family was affected, and CRS’ response effort.